In the beginning, I was having difficulty picking up Japanese without the use of English. However, under their tutelage I managed to get through the difficult phases with ease and understand the lessons more without any major problems. To me, Matsudo International School is my platform in Japan, from which I raised and achieved my goals. The teachers are very kind and very knowledgeable. That is why I think the students here graduate with strong foundation and succeed in their future endeavors. If you want to fulfill your dreams and goals in Japan, Matsudo International School is definitely your best choice. Studying in Matsudo International School was quite a delightful experience. Learning the language of Japanese under the supervision of experienced and well-versed teachers only made the embrace to a brave new world of Japan much smoother. Every step of the way, from accommodation to welfare to even daily life issues, was assisted by the caring staff of the school. I managed to learn, grow and affirm my Japanese skills confidently and understand the different cultures and inner workings of Japanese society as well. Not only did I learn from lessons in class, but also life lessons from my experiences in Japan. One minute walk from Shin-Yamashiro station on JR Musashino line or Yabashira station on Shin Keisei line. They are available to meet all the students’ needs for studying, living and working. This Japanese language school has a long history in Matsudo city, welcoming in their 30th Anniversary soon. They provide instruction that meets a personal need because of a small school in the fields of going on to college, finding a job and taking qualifications. They put importance on offering classes where the students can understand Japanese culture as a key point for language learners and that encourage them to take interests in. 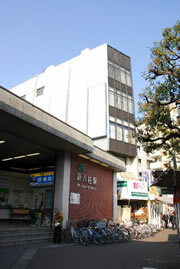 It’s possible for students to learn Japanese in the location near the station and in sunny and comfortable classes. All the teachers are well-experienced in teaching language and have a motto of acquiring practical and ever-lasting Japanese. They put importance on an experienced-study-system by actively adopting the teaching materials based on Japanese culture like movies and manga and also on the experiences to obtain through daily living. They do their best in carefully and kindly teaching students in accordance with each purpose. In 2014, they set up new courses, a specialized occupation course and a qualification obtaining course. In addition to the overseas students, there are many foreigners living nearby. A private lesson and a small-group lesson and furthermore a holiday course and a program for company trainees and dispatching a Japanese teacher are also available. Tuition: 118,500 yen for twelve-week course (Twenty hours a week), not including tax. Enrollment Requirements: Over fourteen years old. *One week course, the shortest is available. Discount is available for the longer term courses. Other: Teaching material fee is actual expense. (About 2,500 yen for twelve-week course), but It depends on the level. Required Visa: Students have to apply by themselves for a visa including Short-stay Visa, Working Holiday Visa and Family Visa. Preparation for accommodation (introducing a dormitory or a guest house), driving to and from an airport, support for finding a job, some languages available including Chinese, English, Vietnamese, Thai, and Indonesian, going on to college and consulting for visa and other matters.